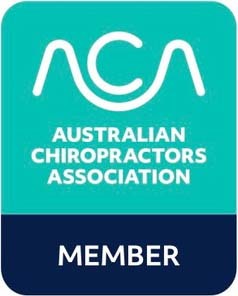 Mosman Chiropractic is putting a team together so why not join us! This is the chance to work on 2 areas of your health for 6 weeks to help get you ready for Summer and the Silly season. The challenge is simple – it’s about selecting two key health goals and sticking to it over a 6 week period. The Balance 365 App will help support you through the process. The challenge is open to everyone! 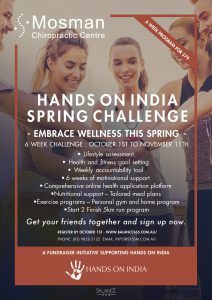 Register your friends/ family and workplace online now at www.balance365.com.au and select ‘Mosman Chiropractic’ as your team. Your information is confidential and will not be released to us or other team members. The official start date is October 1st – when your personalised Balance 365 App will be available. $35 from each sign up will be donated to Hands on India. Visit www.balance365.com.au or ask us for details to find out more.